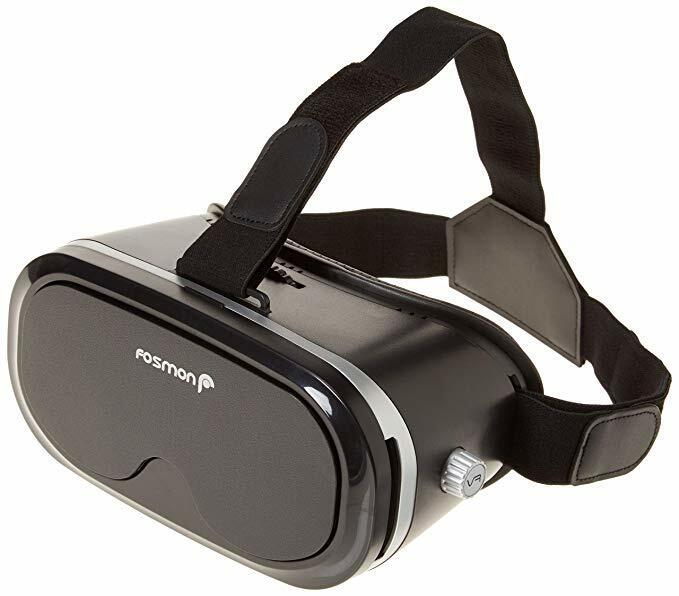 Looking for a VR headset that’s iPhone compatible? Make the most of the available features by following our guide on how to buy an iPhone VR headset. Virtual reality isn’t new. We’ve been exploring and perfecting the techniques of creating a virtual relative for decades. Although what’s counted as virtual reality today is now far narrower than it was previously, the ways we can experience it now differ significantly. Today, anyone who owns a new mobile device can experience at least one type of virtual reality with the help of a headset and an app. Samsung went as far as to develop its own headset dedicated to Galaxy devices. Unfortunately for the diehard Apple fans in the room, there’s no in-house VR headset for iPhone. Moreover, the iPhone is not yet ideal for VR viewing. Believe it or not, Apple doesn’t offer the processing speeds or optics required to achieve virtual reality. If that wasn’t enough the virtual reality headsets compatible with your phone don’t offer the high-end experience you may be accustomed to. Premium experiences available with the HTC Vive or Oculus rift aren’t available with iPhone, and many of year’s top mobile VR games aren’t found in the app store. No one is saying you can’t have a good VR experience on an iPhone, but it’s important to remember that you won’t get the same VR experience as those running Android nor will it feel much like using the Oculus Rift or another tethered headset. How do you choose your first VR headset for iPhone? It’s as simple as setting your budget and narrowing down devices according to features. We’ll show you what VR headsets for iPhone offer and give you a few examples of popular devices. 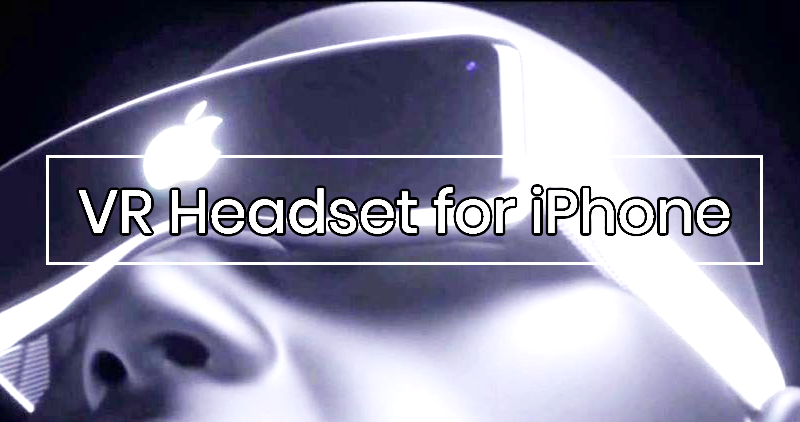 Before starting your search, understand that not all iPhones are compatible with VR headsets. You’ll need an iPhone 5S or newer to find any headset that works. Some headsets don’t fit Plus-sized iPhones, so keep an eye out for headsets that expand to fit iPhones over 6 inches. VR headsets come in one of two broad categories: tethered and mobile. If you’re going to buy the best VR headset for iPhone, then you’ll always choose a mobile headset. Mobile headsets feature a shell structure with a space to attach your phone. 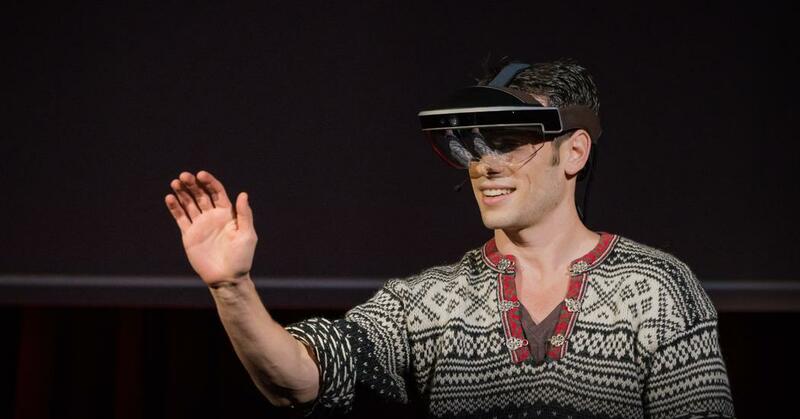 The headset then transforms the device you already own into a virtual reality device. The best-known headsets, like the Google Daydream View and Samsung Gear VR, are for Android phones. Apple has yet to produce a VR headset for iPhone, but there are plenty of third-party mobile headset options as well as Google and Android headsets that fit Apple devices. Understand this: mobile headsets have nothing on a tethered VR headset. Don’t set your standards on Oculus-type VR experiences when looking for a mobile version. Instead, think of mobile phone sets as VR for beginners. Simple mobile headsets are a good way to start diving into the world of VR. Plus, you’re less likely to feel motion sickness, which makes these starter kits easier to work with for children and anyone else new to VR. Experience is everything in virtual reality. The idea of “immersive experiences” is potentially one of the most over-hyped concepts in VR because people use it casually to refer to the entire spectrum of VR products. Simply put, immersive experience is an illusion that you’re inside the reality in front of your eyes. The potential of being there – in the thick of it – is realistic. When someone in the virtual space throws a rock at you, your instinct is to duck. If you’re unbothered by projectiles launched at your head, the experience isn’t as immersive as the manufacturer might like to think. Much of the immersive experience is built by what VR engineers call degrees of freedom. The degrees of freedom represent the ability to move around inside of a space. When you’re working in a three-dimensional scenario like virtual reality, six degrees of freedom exist. Three of these degrees describe rotation: pitch, roll, and yaw. The other three represent movements along the x, y, and z-axis or translational movements; these allow you to move up/down, left/right, and forward/back. A VR headset uses three or six degrees of freedom in its design. The average mobile VR headset for iPhone includes only three degrees of freedom. Cheaper devices like the Google Cardboard use three degrees of freedom. Put on the Cardboard, and you can change your view of the scene by looking around, but you can’t move around the scene because there’s no physical freedom. Although three degrees sounds limiting, it retains its use when using virtual reality on web browsers. The specs offered by most models don’t vary until you start reaching the higher end of the price spectrum. Moreover, mobile headsets will never offer the same experience as a tethered headset. Instead of worrying about specs, we recommend buying based on fit and feel of the headset. Bar the cardboard sets, the vast majority of these headsets feature hard plastic construction. These headsets have to sit comfortably on your face, or it will end up in the garbage. We recommend looking for a strap that fits your head without pinching. Adjustable straps are best if you want to share with others. Any headset with some cushion is also a bonus, but you’ll also need to scale up in price for that. The lens is also an overlooked piece of these products, and you’ll need to search for a set that suits your eyes. Some products, like BlitzWolf, recognize that everyone’s eyes are different. You’ll be able to adjust the pupil distance to match your own eyes. If you’re near-sighted or farsighted, look for a headset that caters to your eyes by allowing you to move the lens back and forth. 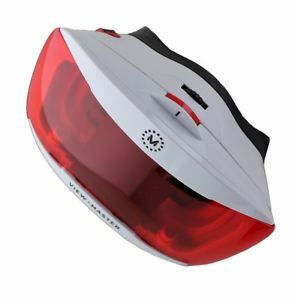 In addition to finding a VR headset for your iPhone that fits your iPhone model and your head, you also need to find one that’s compatible with the apps you want to use. Most headsets should work with apps like Google Cardboard. However, you might find the Google Cardboard headset isn’t compatible with all apps. Many VR games and apps require an additional form of control, usually through a remote. In those cases, the apps would be useless with a headset that doesn’t come with a hand-held remote. There are very few, if any, VR headsets for iPhone that come with a remote. Think about what VR experiences you want to use before choosing a VR headset. You may find that the kind of experience you’re after requires not only a different headset than the one you have in mind but an entirely different phone. Now that you have a better idea of what kind of products exist in the market. So, let’s talk about the current offering for iPhone users. 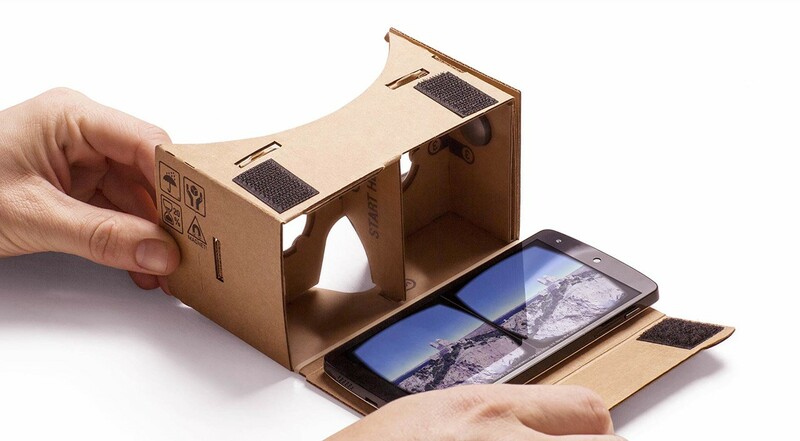 Products range from a cardboard box – yes, really – to a recently released Oculus headset compatible with iPhone. Where does the value at each end of the spectrum lie? Let’s find out. The Google Cardboard headset is the official budget headset. The product’s name comes from its construction: Google made it out of cardboard. You can buy the official Google Cardboard or, for a few dollars less, go for a third-party version from an alternative retailer. Once you have your device, you’ll download the related app and connect it to your cardboard viewer with the QR code. Google’s Cardboard app offers a selection of VR experiences that allow you to travel the world from the comfort of your home. YouTube also has a VR app that plays 360-degree videos. There’s also a camera app for capturing the ultimate panorama video. Slide your iPhone into the Cardboard phone slot, and you’ll start to see your phone in a whole new light. The box blocks out most of the light from the outside and directs your eyes straight forward to your screen. As mentioned earlier, BlitzWolf offers an iPhone compatible mobile headset that takes your eyesight into account. It offers the option to move the lenses to match your vision and where your eyes rest. It also offers some padding for added comfort. If you’re looking for a cheap, Apple-approved product, you might choose the View-Master Deluxe headset. It’s easy to adapt to different users, and the controls let everyone find their best view. Most VR games won’t work with the View-Master Deluxe, but you can use Google Cardboard as well as View-Master apps available in the App Store. You can pick one up online or in the Apple Store near you. VR for iOS is still far away, so don’t expect your first VR experience on your iPhone to be transformative. However, that doesn’t mean the apps and devices available aren’t fun. Enjoying VR with your iPhone means participating in a simplified experience. But you can still make the most of it. Make sure you choose a VR headset that works with the apps you have in mind and don’t forget to choose one that’s comfortable to wear.